On 25thMay 2016, the Swedish parliament voted in favor of closer relations with NATO in a so-called "Host Nation Support Agreement". This new agreement will allow NATO forces to operate more freely and conduct training exercises on Swedish territory. Previously, Sweden had only been a "Partnership and Peace" nation,with the outcome that Swedish troops have been militarily involved in Afghanistan as well as having participated in the bombing and destruction of Gaddafi's Libya. Therefore, Sweden is, together with NATO,to a large degree responsible for the current chaos in North Africa and the Middle East. With this in mind, talking about "200 years of Swedish neutrality" sounds hollow and thus the Swedish politicians' decision to further play into the hands of the Atlanticists should not come as a big surprise. 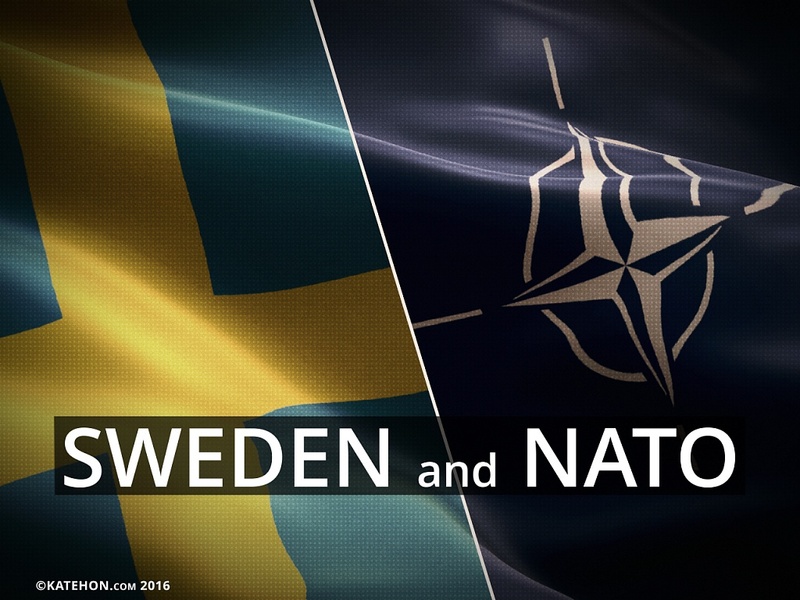 In September 2015, 1,000 Swedes were asked about their opinion on Sweden joining NATO. From this poll it was shown that 41% were in favor; 39% against; and 20% were uncertain. Whether you view this poll to be accuratelyrepresentative of Sweden at large or not, 41% is a very weak foundationto force more NATO integration onto the Swedish people. Add to this the fact that the Swedish politicians ignored popular protests and 41,300 signatures calling for Sweden not to get further involved with NATO. Sweden's Defense Minister, Peter Hultqvist, explained that Sweden will not apply for full membership status but rather "create long-term stability", and that Sweden "[will not] bea part of a situation that could be used by others to create a higher level of tension." Nonetheless, Sweden will in case of hostilities, due to the new agreement, be used as a springboard for NATO to further their agenda in Scandinavia and the Baltic's against Russia. Hultqvist goes on to explain that the current security situation in Europe is the main reason behind Sweden's decision to increase cooperation with NATO, specifically pointing out Russia's military modernization as the major issue of concern; the events in Ukraine being mentioned again and again. The notion that "Moscow is unpredictable and dangerous" is a common argument by Atlanticists in the West, and the events in Ukraine and Crimea are portrayed as simply "Russian aggression" and "Putinist imperialism". They are of course "forgetting" the fact that they themselves, i.e. Atlanticist politicians and NGO's, supported the Euromaidancoup that completely destabilized the country and triggered the ongoing civil war. Moreover, the fact that former Secretary General of NATO, Anders Fogh Rasmussen, has been appointed as a personal advisor to Poroshenko in Ukraine is not going to make things easiervis-a-vis Russia. In April 2015, the "Swedish Defence Bill 2016-2020" was green-lighted, andas for the cost to the Swedish taxpayer for this military rearmament and modernization, it is estimated that defense spending over the next five years will increase by 11% (2.2% a year) and cost, in total, 27 billion USD. The most important aspects of the bill are remilitarization of the Island of Gotland and reinforcement of anti-submarine warfare capacity. This would imply that Sweden's role in a conflict would primarily be to contain Russia in the Baltic Sea. Tomas Ries, who is a scholar at "The Swedish Defence University" in Stockholm, has stated that the USA is interested in building a small military coalition of the Nordic and Baltic states due to an apparent lack of interest and commitment from the larger NATO community. The preparation for the establishment of such a "mini NATO" could quite possibly have been discussed at the US-Nordic Leaders Summit that took placein Maythis year. The Atlanticists are tightening their grip on Northeastern Europe, and the containment strategy aimed towards Russia is proceeding at the cost of billions of dollars from the European NATO member states.Although Sweden is not a full member, the decision of their political elites to move closer to the US-led alliance is a dangerous and expensive venture. And with NATO military drills going to take place in the Baltic's from June 3rd until the 16th, Europe - at the behest of US geopolitical interests –it is pushed against our Russian neighbor, pointing weapons at them instead of a hand of friendship.